Integrating AWS with Freshservice makes storing and managing all your virtual assets, servers and databases easier. As your organization scales, your growing infrastructure needs more machines, servers and networks. Hosting all these new servers and machines securely and at a reasonable cost can be a challenge. 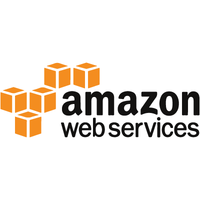 Freshservice’s Amazon Web Services (AWS) integration makes it easier. - The CMDB organizes your CI and asset details, while your virtual assets are handled by our cloud solution’s AWS integration. 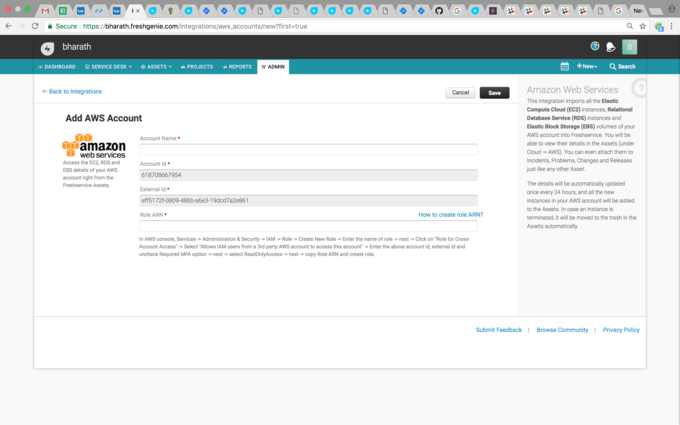 All the instances you store in your AWS account are linked to the CMDB in your Freshservice account. You can attach instances from your CMDB to tickets, problems, changes and releases in your service desk, similar to how you would attach other CIs. - Get access to virtual servers (EC2), databases (RDS) and volumes (EBS) in your centralized CMDB, and visualize the AWS servers using our relationship MAP view. This helps you to gauge impact and analyse your cloud and end-user assets on a single platform. Use smart service desk automation to add new instances, update existing ones, and terminate them as required. - Keep tabs on your cloud-based virtual assets in the same way you track your CIs. Easily access information on contract type, cost, expiry and renewal dates, and get necessary alerts and notifications within your service desk, bringing control of all your physical and virtual assets under one roof. 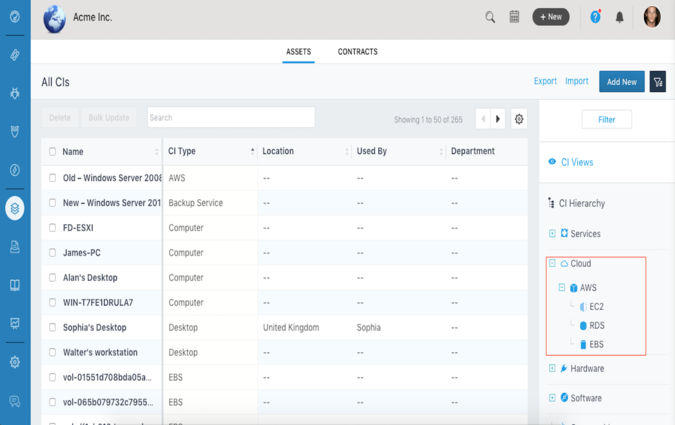 You can provide admin access to select agents in charge of asset tracking — once all the instances sync with your CMDB, your agents can securely access all virtual assets and inventories within AWS from Freshservice.